After finally being in one place for a whole month, I finished my painting submission for the Vino de Sueños charity art and wine auction 2013. The art can be viewed at St. Mark’s Church Sept. 20th, and at the event on Nov. 2nd. Hope to see you there! (Details below.) And stay tuned for more artwork on its way! The artist revisits her fascination and love of Flamenco as well as muse, dancer Marisol Cabrera, in her submission for this year’s event. 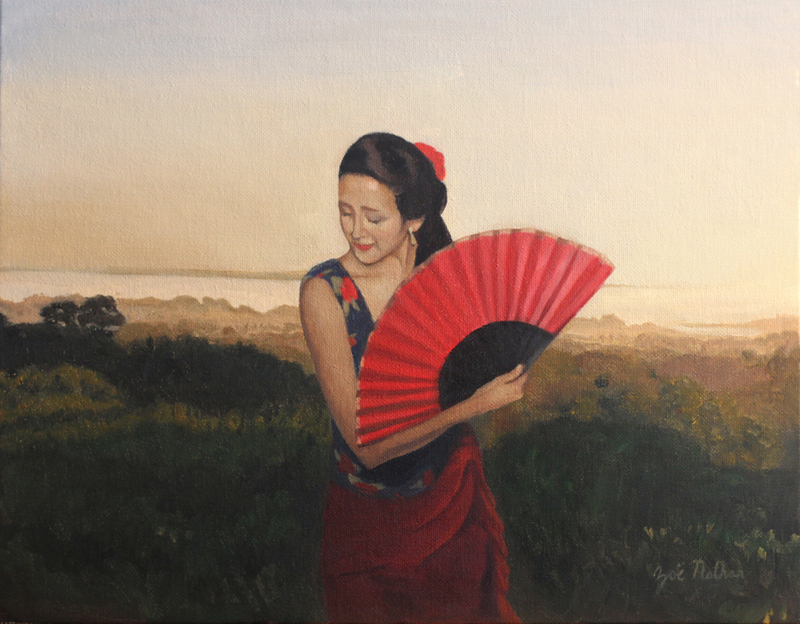 The painting captures a live performance of flamenco dance and showcases the lovely mountainous landscapes and vineyards of Santa Barbara County at dusk. Zoë Nathan is a multimedia artist, whose oil paintings and bronze sculptures delve into the realm of romantic realism, which she also explores in film, photography, and opera. Zoë received her Bachelor of Arts Degree at Sarah Lawrence College.